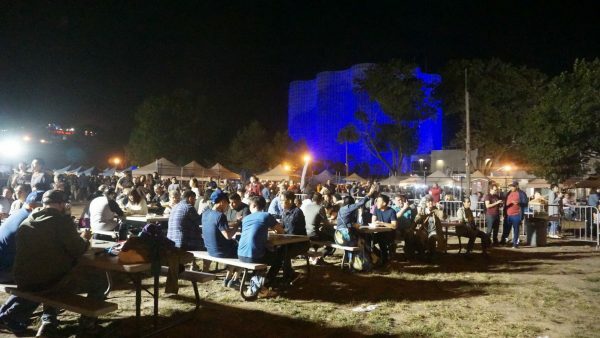 The popular open-air food and art bazaar in Flushing Meadows Corona Park, which boasts up to 55 food vendors and 30 arts and craft merchants, will be open every Saturday night through Aug. 17 from 5 p.m. to midnight. The organizers are selling tickets to gain entry to the market for the first two Saturdays—April 20 and 27th—in order to reduce crowding. For the remainder of the season, entry to the market will be free. The event will come with some changes this year. The market will open an hour earlier, at 5 p.m. instead of 6 p.m., to provide vendors with more time to sell their goods. And while the $5 price cap on food will remain in place, there will be “a handful of $6 exceptions,” said event organizer and founder John Wang. This year, adults will also be able to roam throughout the entire market with alcohol the buy on site—as opposed to being cordoned off to the beer and wine garden. The Night Market, which averaged about 10,000 attendees each Saturday last year, is bringing back many of its perennial favorites, such as shark sandwiches, jerk chicken and Filipino balut. Wang, who has brought in vendors from more than 80 countries since the market launched in 2015, said that his mission is to offer food and goods from as many nations as possible. Tickets to this weekend’s market—as well as on April 27–should be purchased in advance on the event’s website. Unsold tickets will be available for purchase at the door for $8. 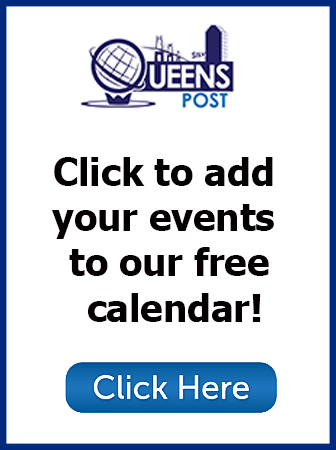 A food festival that aims to showcase the dining scene of Downtown Flushing will be taking place next month.